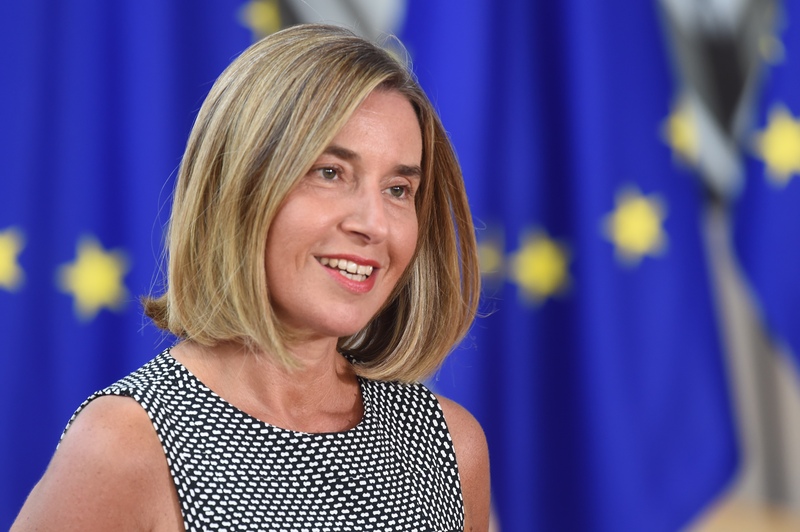 Ahead of the Western Balkan Summit, which starts in Trieste today, European Western Balkans spoke to High Representative of the European Union for Foreign Affairs and Security Policy and Vice-President of the European Commission, Federica Mogherini. We spoke on the Berlin Process, EU’s plans for the Balkans, regional relations, and on the state of democracy in the Western Balkans. European Western Balkans: The Berlin Process will have its fourth high-level meeting this year in Trieste. How is the EU contributing to the process? 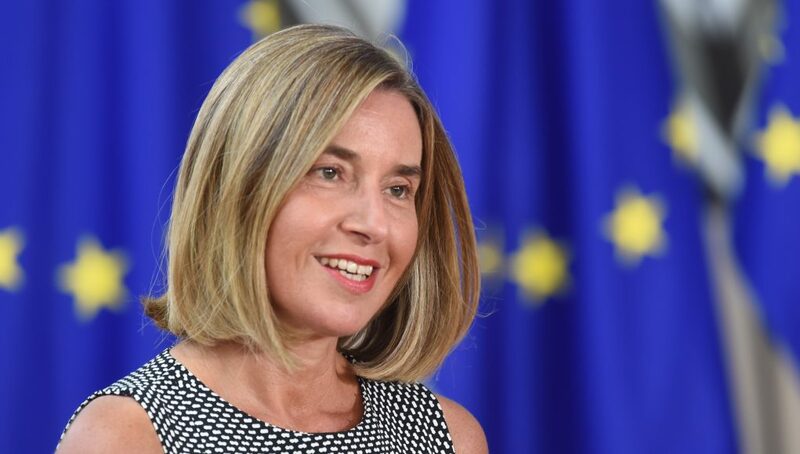 Federica Mogherini: The aim of the Berlin Process is to bring the Western Balkans inside the European Union. And this is the very same goal that we have pursued since our first day in office, through diplomacy, through investments, through cooperation on all issues from security to migration. The Trieste Summit is not a stand-alone, but a crucial part of our broader engagement with the region. This engagement has recently led to starting a new phase in the dialogue between Belgrade and Pristina, to the Bosnian application for membership of the EU, to important reforms in all the Western Balkans Six. The European Union is the strongest partner of the Balkan people as they work for peace, growth and democracy in their countries. EWB: Some political analysts are saying that the Berlin Process is just a substitute for the EU enlargement. Is that true or is it a complementary process with the EU accession? FM: The Berlin Process is meant to accompany the Balkans’ path towards the European Union. It is not a substitute, not a competitor, but on the contrary a facilitator of our common work. The European Union will never be complete without the Western Balkans. The region is at the heart of Europe. The peoples of the Western Balkans share and contribute to European culture, history and economy. This region is part of Europe, and it will also be part of the European Union – no doubt about that. EWB: German Foreign Minister announced “Berlin Plus” programme for the Western Balkans. What are your expectations of this programme? FM: Any Member State’s initiative that supports the region’s path towards the European Union is welcome. I always say that the European Union doesn’t need to speak with only one voice: our diversity, and the variety of tools we can mobilise, makes us a much stronger player. What truly matters is that all “voices” sing the same song, and all initiatives pursue the same goal. Berlin Plus is part of our common action towards the Balkans: its focus on competitiveness, integration and innovation is perfectly in line with the work we are doing and with what we will discuss in Trieste. EWB: It can be heard from different European stakeholders that the Western Balkans is one of the EU’s priorities. How high on the EU agenda is the region? 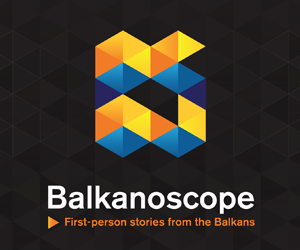 FM: No single day passes without us working on the Balkans or talking to regional leaders. Last Monday we hosted the Stabilisation and Association Council with Bosnia. Aleksandar Vučić and Hashim Thaçi were in Brussels the week before. This year I have travelled to all regional capitals, and met with Balkan leaders countless times. Last March, the European Council reaffirmed its unequivocal support for region’s path towards the European Union. We will continue to be the region’s strongest partner – because we believe in the Balkans’ EU perspective, and because we need our cooperation to address our citizens’ needs, from security to economic growth. EWB: There is a study of the Balkans in Europe Policy Advisory Group which argues that the EU approach towards the Western Balkans is “stabilitocracy”, which means that the EU values stability over democracy in the region. How do you comment on these claims? FM: There is no stability without democracy, and strong democracy. The promotion of good governance and the respect of rule of law are at core of our everyday engagement with our partners in the Balkans. Our work for effective judiciaries is a contribution to the quality of democracy as well as to regional stability. Our mediation to address political crisis is about making democracy work as well as about regional stability. We understand that European integration is a matter for the whole of society, not only its leadership. This is why, across the region, we work directly with citizens, institutions, civil society, the business community, and not only with governments. Everyone has a role in this process. EWB: The Western Balkan countries are at different levels of the accession process. Do you expect the countries of the region to join the European Union together or separately under the regatta principle? FM: The pace of reforms depends on each capital and each leadership. The accession criteria are the same for everyone, there are no shortcuts. Our door is always open: it is up to each of the Western Balkans Six to cross the line, and come in. At the same time, there is a clear link between regional cooperation in the Western Balkans and their path towards the European Union. 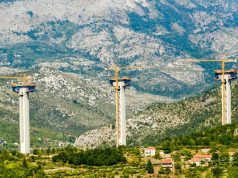 Regional cooperation makes each of the Western Balkans Six stronger: it is in their citizens’ interest, and it can only get the region closer to our Union. EWB: Hashim Thaçi has said that he expected that the Belgrade-Pristina Dialogue will end soon and that there will be a historic agreement between Serbia and Kosovo. How do you see the future of the dialogue? FM: I am an optimist by nature: a good dose of optimism and determination can only benefit the dialogue. Last week, when I met with Presidents Vučić and Thaçi in Brussels, we all agreed to start a new phase in the dialogue between Belgrade and Priština, towards a full normalisation of relations. And we all agreed on the importance to implement without delay the agreements reached in the dialogue. This was a very intense year for relations between Belgrade and Pristina: just months ago the situation was tense, but today we face a new and unprecedented opportunity for reconciliation. When there is political will to move forward, there is also room for optimism. EWB: Serbian media have said that Serbian President Aleksandar Vučić has asked you for an exact date of Serbian accession to the EU. What is your reply? FM: Serbia has achieved great results in recent years, after opening of 10 negotiating chapters and closing two provisionally: the reforms are paying off, first and foremost for the citizens of Serbia. ​President Vučić knows – as well as all regional leaders – that it is largely up to Serbia to set the date for accession to the European Union. Membership will come with reforms and with a normalisation of ties with Kosovo. We both want Serbia to join the European Union. The Serbian leadership is ambitious, and so are we. EWB: Brussels is often praising the reforms in the region. 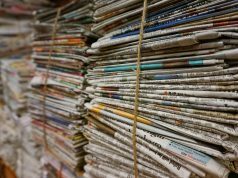 However, a number of indexes show that the democratic standards in the countries of the Western Balkans have a downward trend. Why there is an impression that Brussels is turning a blind eye on those issues? FM: The whole region has achieved progress that was unthinkable just a few years ago. I will never shy away from saying that the work is not yet complete – it needs to continue, and the reforms need to deliver much more. But I will always celebrate every step in the right direction, every reform that makes the political leadership more accountable, that fights corruption, that makes the judiciary more efficient and transparent. It is the citizens, especially the youth, who need to see real, practical benefits. This is the responsibility of the leaders in the region and should be above any other agenda.